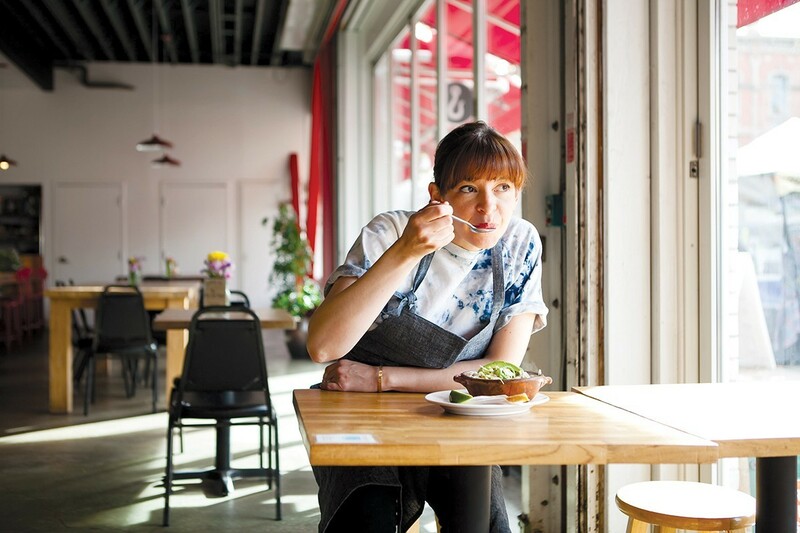 Dominica Rice-Cisneros, chef-owner of Oakland’s Cosecha (907 Washington St.), kept coming back to the same answer: In the future, she hopes to see more women running restaurant kitchens — and, even more importantly, to see those women getting the personal and professional support they need. At last week’s conference in Copenhagen, Rice-Cisneros led a small-group discussion panel about the challenges that women in the restaurant industry face, using data provided by the Restaurant Opportunities Center, a national nonprofit that advocates on behalf of restaurant workers, as a jumping-off point. Of particular note: the lack of affordable childcare and the way that shifting restaurant schedules — with some 40 percent of restaurant workers in one survey saying that their schedule changes every week — have a disproportionate impact on restaurant workers who are mothers, many of whom are also immigrants and/or people of color who already face a variety of other obstacles. At her own restaurant, Rice-Cisneros said she has a lot of cooks who have kids and only work day shifts — and she doesn’t force them to work overtime. She left the MAD Symposium with a commitment to encourage other successful restaurateurs to support and mentor their female cooks: to provide them steady schedules and childcare vouchers, and to help them take the next step toward running their own restaurants. A couple of concrete ideas: providing free English classes to immigrant cooks and introducing young female restaurateurs to farmers and other purveyors that they might not know. Rice-Cisneros credits her own daughter for insisting that she go home from Cosecha at 4 p.m. three days a week, allowing her to spend that time to do the “regular mother-daughter thing.” It has been a huge benefit to her own work-life balance — and it’s something she’d like to help other women in the industry find as well.